This is an oval Sunshine Service porcelain sign. This particular Sunshine Service sign is predominantly red and white with black text. 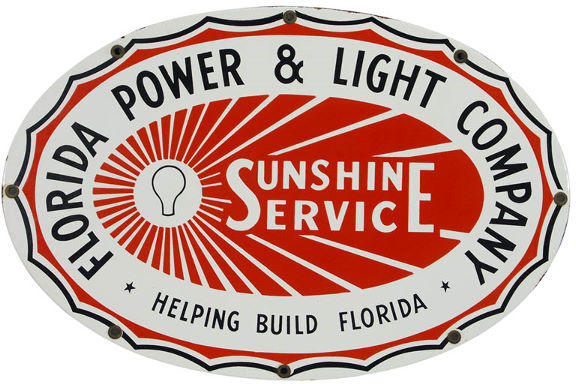 It reads, “Florida Power & Light Company, Sunshine Service, Helping Build Florida” and features a white sun and rays with a lightbulb on the left side of the sign.